Nothing is ever truly broken. 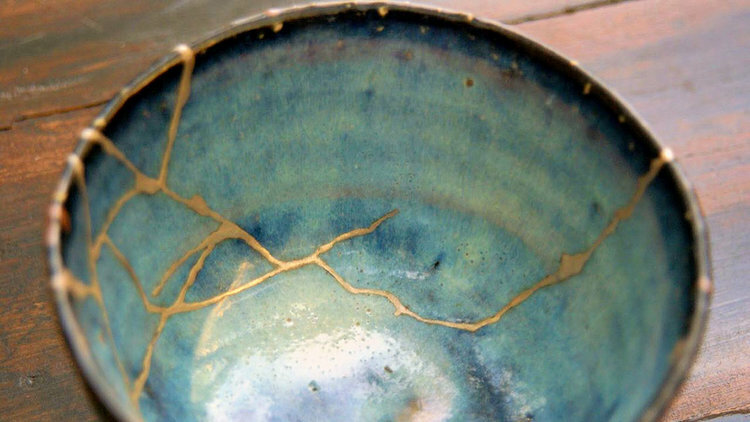 This is the philosophy behind the Japanese art of Kintsugi, which makes broken pottery more beautiful and valuable than it ever was, by seaming the cracks with gold. The idea is not to disguise the imperfection of the object, but to incorporate and celebrate its history. We’d probably make better public speakers if we were able to take our own imperfections in this spirit. We’d worry less about getting it wrong if we thought our mistakes were what made us attractive. Actually, there is some evidence to suggest that people can become more attractive when they make mistakes. For a speaker this can’t be anything too serious (like having no message, or punching a questioner in the face), but a ‘minor blunder’ like forgetting something, or clicking the wrong button on the slide remote, may actually encourage people to like you. The imperfect speaker becomes human, relatable, and gives us the permission to be imperfect, too. How relaxing. WHY SHOULD IT BE EASY? High standards (…) become a problem when we think something might and should be substantially easier than it turns out to be. This is where we get caught – effective public speaking is a difficult business. It demands of us a complex set of skills, including time and project management, logical thinking, visual design, empathy, posture awareness, and voice projection … We see experienced speakers appearing to achieve these things effortlessly, and we think it should be easy. But we forget the years of experience, practice and probable anguish that went into becoming that good. We aren’t aware of the number of mistakes, of lessons learned, the number of cracks that have been gilded to create the speaker we admire. There are perhaps the rare few who just have natural talent, who give wonderful talks with minimal preparation and no nerves. But they are the Mozarts of the presentation world. You’re more likely to wake up spontaneously understanding the finer points of Gödel’s Theorem than develop good public speaking skills without making any mistakes. So have high standards. Why not? It will motivate you to do a good job. But when things go wrong … relax. It’s just another opportunity for a dab of gold paint.